Since 1999 I’ve developed very close ties to German filk fandom and lost count of the number of times I’ve visited the country. It’s been hard for me to reconcile what I’ve seen with its Nazi past; few Germans give the impression of the kind of people who’d support a brutal dictatorship. This weekend I’ve read Irmgard A. Hunt’s On Hitler’s Mountain , an account of the author’s growing up under the Third Reich, and it provides a number of clues. I’ve put a signed and numbered copy of Tomorrow’s Songs Today up on Ebay. My supply of the first run is getting low, so this may be the last copy of the original run that I sell, since I want to keep a couple of copies for myself. The book is available for free in ebook form, and the book’s website has updates, but if you want to help support the book, or if you just like having a paper copy, this is your chance. The Shepherd’s Crown is the last Discworld novel ever. This is a sad thought, but it would have been much sadder if Raising Steam had been Terry Pratchett’s last. In his last years, as he struggled with post-cortical atrophy, he needed more help to get his books out. I read the beginning of Raising Steam and found that it just wasn’t his voice. It was as if a copy editor had too heavy a hand in it. Whatever went wrong there, though, is largely fixed in The Shepherd’s Crown . It sounds like authentic Pratchett and presents a good story. Yesterday I picked up Raif Badawi’s 1000 Lashes: Because I Say What I Think . It took me less than an hour to read the 60-page book, and I’m not a fast reader. You might not consider it a good value per word until you remember that he paid for each word in blood. Liberalism means to simply live and let live. We should all acknowledge our respect for the traditions and personal behaviors of others, as long as they don’t cross the line for others and invade their personal space. It’s a natural human right to say what you want and do what you want, as long as this freedom is ruled by laws; your freedom ends on the outskirts of the freedom of others. The Freeman has a new article of mine, under the title “Fantasy Bookstore Fights Fantasy Economics.” (I submitted it under the less showy title “Independent Businesses and the Minimum Wage.”) It discusses the recent history of Borderlands Books, which nearly succumbed to a minimum wage increase; I’m hoping that this close-to-home example helps fans to understand that people can’t be made better off by prohibiting them from working for what their work is worth to an employer, and that employers aren’t “evil” for not raising wages. This sentence was an editorial addition: “Fans of bookstores realized, perhaps too late, that for the industry to survive as a whole, the bookstore must be profitable as a business venture, rather than a charity case.” This seems to suggest that Borderlands is a “charity case” for seeking sponsorships, which it isn’t at all, any more than my two crowdfunding campaigns to publish Files that Last and Tomorrow’s Songs Today were. I’ve just finished Flemming Rose’s The Tyranny of Silence , a book that needs to be widely read. Rose is an editor at the Danish newspaper Jyllands-Posten , which published twelve cartoons portraying or relating to Muhammad in 2005. This provoked fury not just in fanatical Muslims, but in political fanatics for the “right” not to be offended. 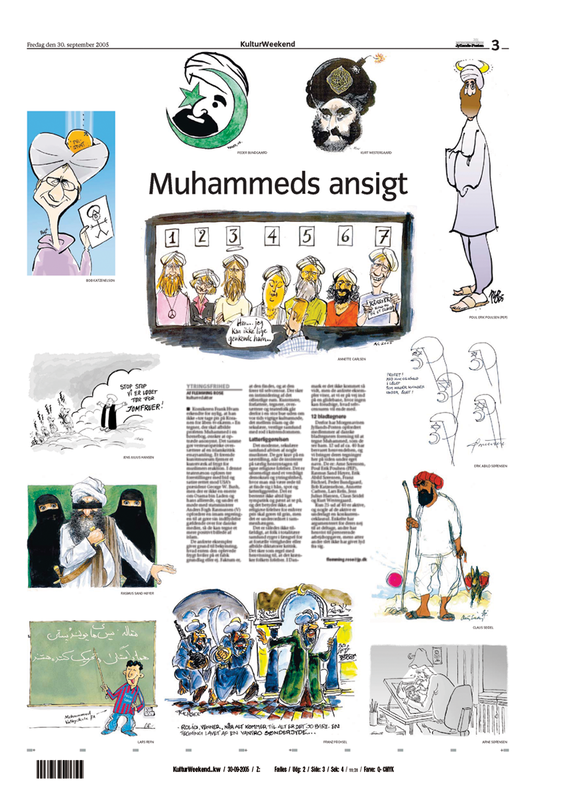 An assailant invaded the home of Kurt Westergaard, one of the cartoonists, and tried to kill him. Rose and the cartoonists were subjected to threats and verbal abuse, though none of them have been killed. We can see an important thread in European thought which isn’t much found in American thought. Many in Europe believe that freedom of speech in the Weimar Republic allowed Hitler’s rise, and that “hate speech” laws would have prevented it. In fact, there were laws restricting attacks on people’s religion; the Nazis simply adapted by focusing entirely on racism, on which there was no ban at the time. Today much of Europe has laws against Holocaust denial, yet levels of anti-Semitism are much higher there than in the US. Today, those who are most violent are granted the strongest claim not to be offended. A museum director declared, “We have no right to offend one another. You don’t have the right to say what you want about other people.” The context was an exhibit that had provoked threats of violence from Muslims. In the next breath she said, “we show a lot of extremely offensive stuff here, and we’re not a fearful gallery.” The people you have no right to offend are just the ones who might kill you, and that has nothing to do with fear. Something besides fear is involved, though. I’m afraid it’s the idea that Muslims just can’t be expected to behave like civilized Europeans and shouldn’t be held to blame for their violent responses. This amounts to regarding them as animals who just are naturally going to bite you if you touch them the wrong way. This is a horribly condescending view and can only encourage increased hostility in both directions. Rose doesn’t talk about the European movement to keep Muslims out, but it comes out of the same attitude. The current state of the Middle East is a lesson in what happens when dogma ousts freedom of speech. No one is safe, regardless of their beliefs. A lot more people will die before the lesson sinks in, though. I’ve placed an order to print 40 copies of Tomorrow’s Songs Today . This is a signed and numbered edition. Nineteen of these will go to crowdfunding supporters, three to Interfilk for auctioning, one to the Texas A&M Library, and a few others to specific people. Of course I’ll hang on to two or three for myself. This will leave ten or so to sell, mostly in person at cons. I figure on charging $25 a copy for a wirebound book with a card stock color cover. The rather high per-copy printing cost will preclude selling it at a reasonable price through dealers, so you’ll have to get in touch with me in person if you’re interested. I’ll be at Boskone and expect to have books and tote bags there. Look for me in the filk room. Here it is at last: Matt Leger’s cover for Tomorrow’s Songs Today ! This art will be reproduced on the tote bags and hard copy versions that are going to the book’s IndieGoGo supporters, and there will be a few more available. Finally, after a lot of rewriting, Tomorrow’s Songs Today is looking something like a book and not just a list of events. It’s past 50,000 words, and if for some reason I had to release what exists right now, I wouldn’t be totally embarrassed. There are still facts I’m trying to pick up, typos and grammatical errors to be fixed, a narrative to make smoother, a layout to finalize, and a cover to add, but the result is in sight. I’m going back and forth with Terri so she can pounce on whatever needs to be improved and make sure that I get it right. January delivery still looks like a reasonable hope. I’ll keep you all posted. The amount that my IndieGoGo campaign for Tomorrow’s Songs Today raised fell short of the stretch goal for getting editing of content as well as copy. However, a couple of anonymous donors have just come through with additional money; this means that Terri Wells will be working with me through the whole process of developing the book, sending stuff back to me when it should be rewritten, and otherwise abusing me to make it a better book. 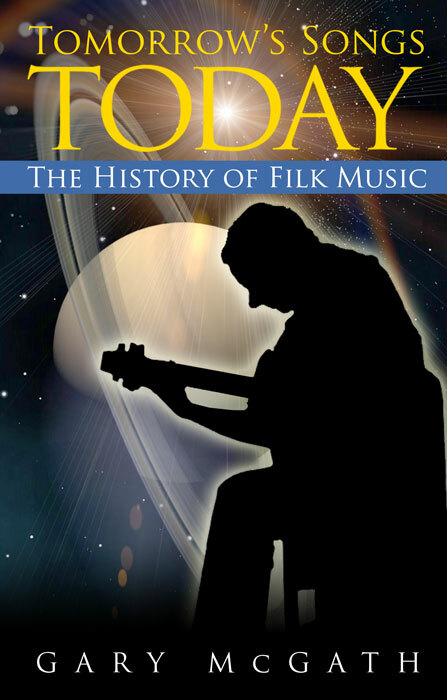 While we’re here, I’m declaring this post an open thread on filk history. If there’s anything you want to tell me about that you think should go into the book, let me know. If you prefer, just ask me to email you; I’ll see the address which you give WordPress, even though the public won’t.